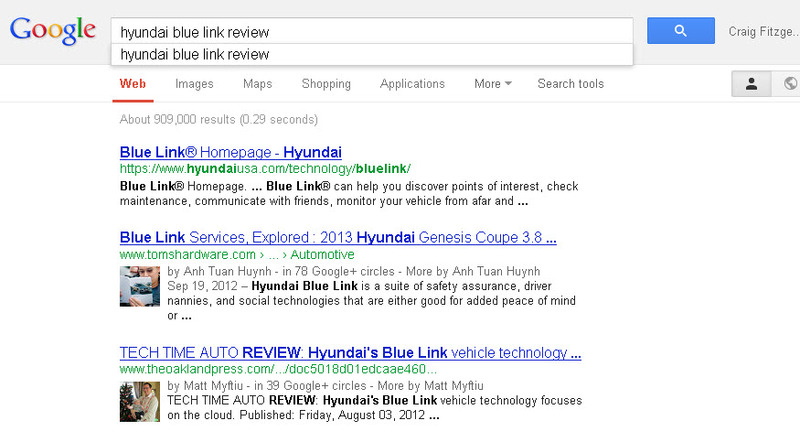 Here’s an automotive example of what the article’s talking about: do a google search for “Hyundai Blue Link review”. Google will return about 909,000 results. The first result, naturally comes from Hyundai. But the second and third results don’t come from some anonymous bit of advertising copy. They come from two actual human beings, neither of which you’ve probably ever heard of. They come from two writers whose names and photographs are right next to the articles in question, and who are influential in multiple Google+ circles. 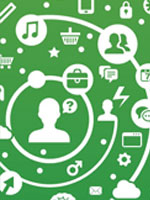 There’s a bit of self-serving encouragement to get someone – anyone – to sign up with a Google+ account, to be sure. But the bottom line here is that Google is trying to weed out SEO spammers by attaching a name to a piece of content. It’s not an overnight revision that’s going to drive your page to the bottom of search results, but it is a clue to what Google is heading towards in the next five to seven years.